Your photos are stunning!! I love the one of the mums especially. Looks like a gorgeous weekend. I too had an adventurous weekend! Nick and I were up in Boston visiting lots of friends. Between growing up in Southern NH and randomly having a lot of New England friends from college, Boston can feel like the campaign trail...in a good way! It was wonderful to laugh with old friends and get to see their adorable babies. Speaking of old friends, everyone remember our dear old friend Brinie and her chipotle burrito-inspired sofa?! If not, you gotta read her story here. It's a little long but its HILARIOUS! 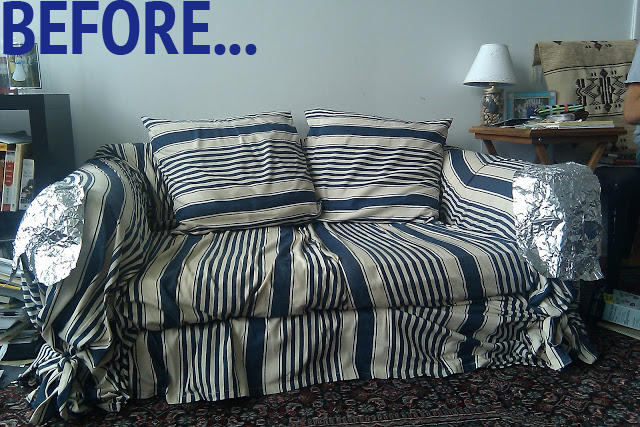 In case you missed it, here was her old couch! And here is her brand new SOFA! 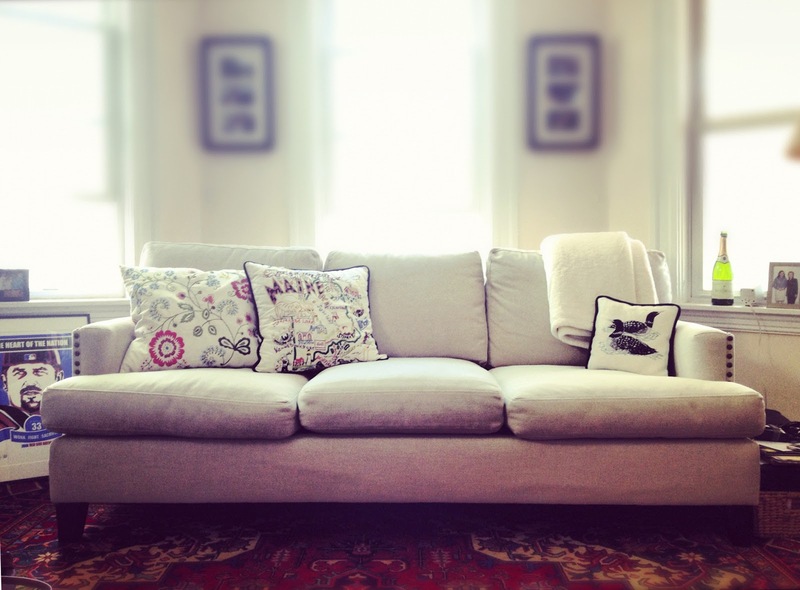 We knew we wanted a sleeper sofa; we knew we didn't want to spend $2500 on it! Boston interiors is local so we could go check out the couch before buying. We also liked that it has some Eco friendly fill (allegedly)! To Brinie we say: BRAVO! Love, love this sofa. And you guys, I slept on the pull out mattress and it was actually comfortable. I'm not lying. I could have left that part out. I didn't feel any bars in my back whatsoever! Awesome, right? Congrats Brinie and Rob! And thanks for Phoneing-A-Friend! To all you Phone-A-Frienders, send us your updates! Even if you went with something completely different. We're dying to see! Now how sweet is SHE?! I had forgotten the state of the old burrito - the change is amazing! and that little lady's face - it's just too much!